Color is back for high-impact solutions. 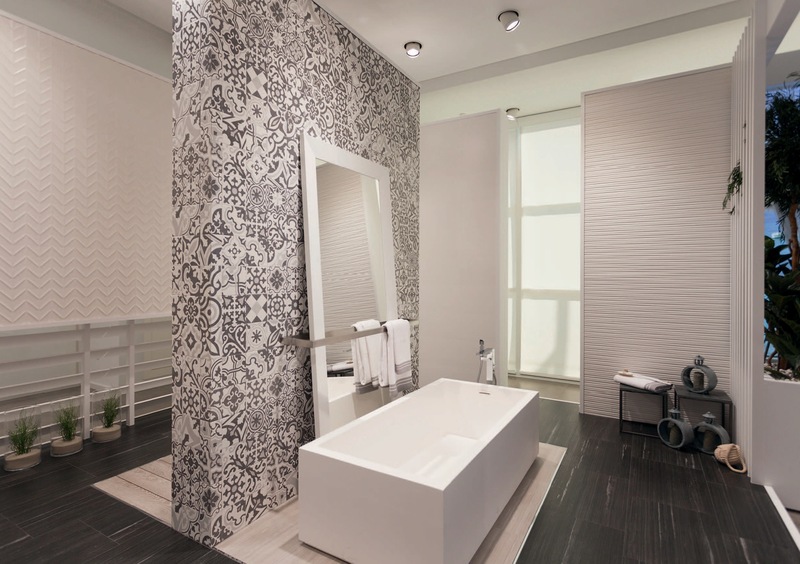 “Products with a high level of personalization are offering important results on the contract market,” says Alessio Coramusi, CEO of Ceramica Cielo. 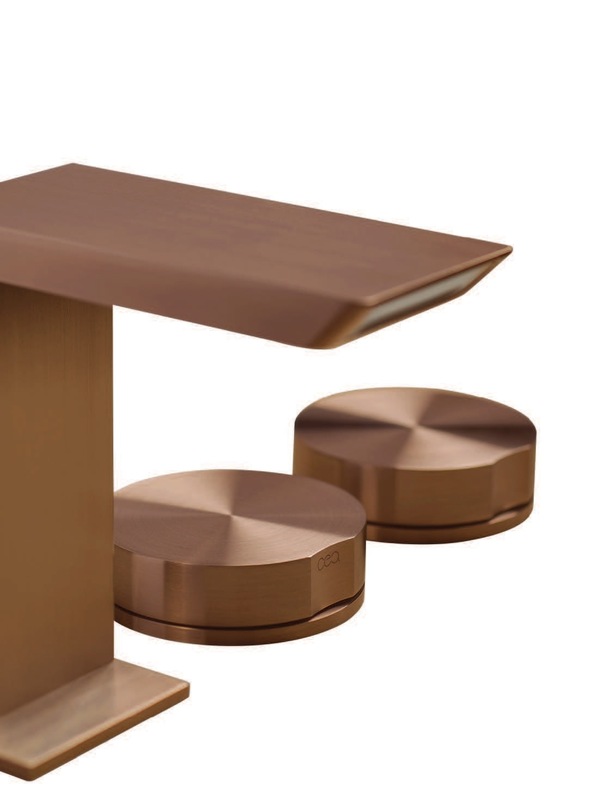 While the young company CeaDesign, already a reference point for the yacht industry and for stainless steel faucets, stands out for a resistant coloring technique that penetrates into the material “for very clean design results,” says company owner Roberta Bertacco. 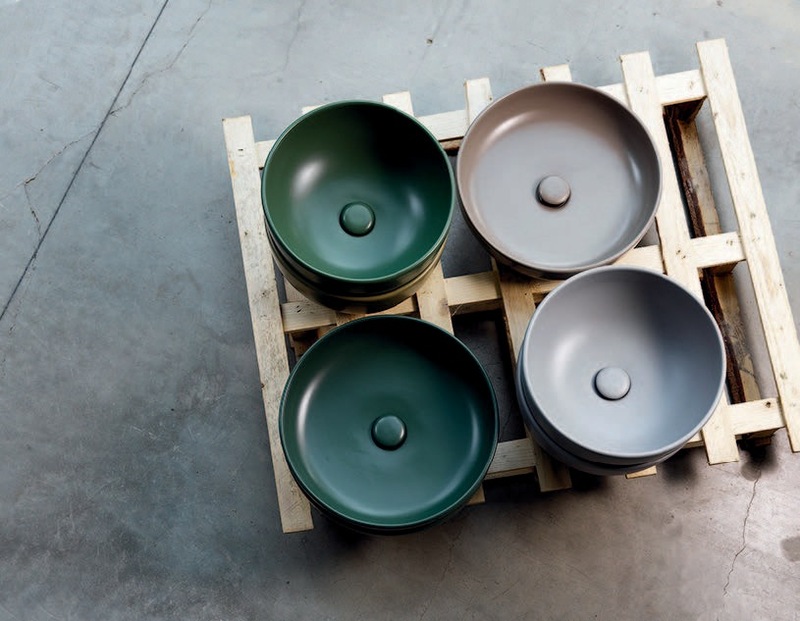 Tones “inspired by the natural and aquatic environment” for the Gastone collection by CeaDesign, while a ‘Bath of color’ in fourteen variations is offered by the range of Ceramica Globo. 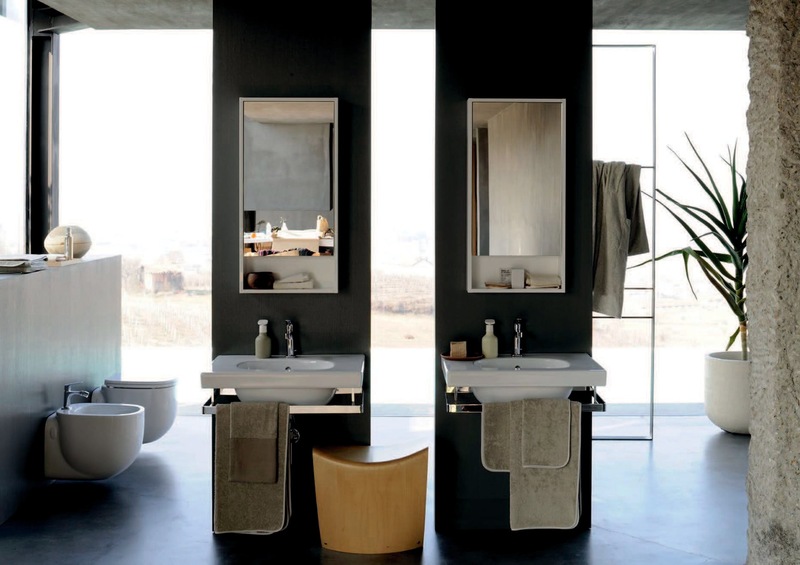 “The bathroom is the most dangerous place in the home – says Jacopo Antoniazzi, general manager of Thermomat – and because we specialize in products for safety we can offer beautiful, multifunctional items.” Investments are also being made for the Ever line of bath fixtures, promising unprecedented developments at the Salone in 2016. “We are exploring complex solutions for spas and resorts” at Fantini Rubinetti, which offers the Lamé mixer faucets designed by Matteo Thun & Antonio Rodriguez, “summing up the company’s DNA for design and awareness of the changing scene,” says Daniela Fantini. “We are working on a combination of steel and wood that will revolutionize the idea of the faucet,” they announce at CeaDesign. 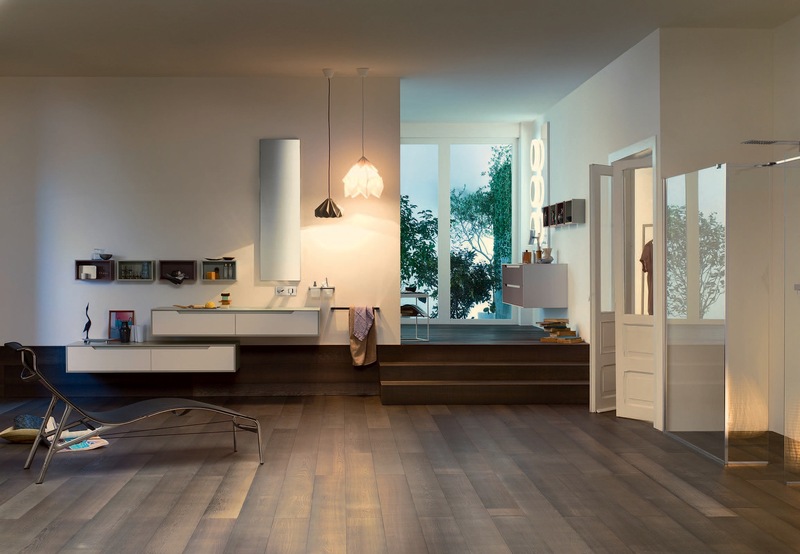 Wood is also the focus of the Par-ker® collection of floors by Porcelanosa, a group that makes kitchens and facings, and has developed Krion®, a surface similar to stone with antibacterial properties. “Among the most successful new initiatives” of Gruppo Samo “the Perfetto furniture collection has a very functional design, while the Avenue accessories and the Teknoair shower walls have a clean, minimal look,” Venturato explains, adding that “the demand is increasingly oriented towards total relaxation.” The sales staff at Porcelanosa sees “a return to 1960s vintage, with a new interpretation.” What counts is for the “know-how of a company to including consulting,” CeaDesign concludes. 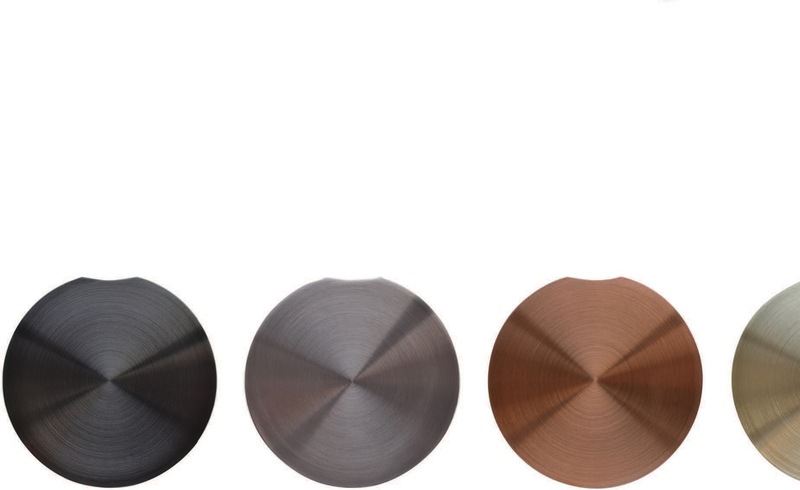 Details from the CeaDesign faucet line in AISI 316L stainless steel. 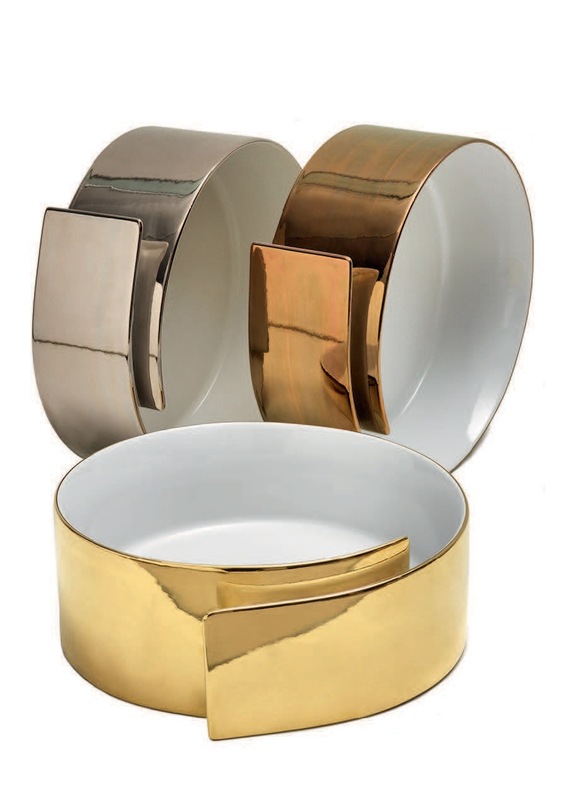 Available in satin and polished versions, decorated with a coloring technique “that penetrates the surface, making the product eternal,” says company owner Roberta Bertacco. In the case of Giotto Ecobrass, by CeaDesign, the coloring technique permits faucets to become very precious, thanks to the light gold tone. 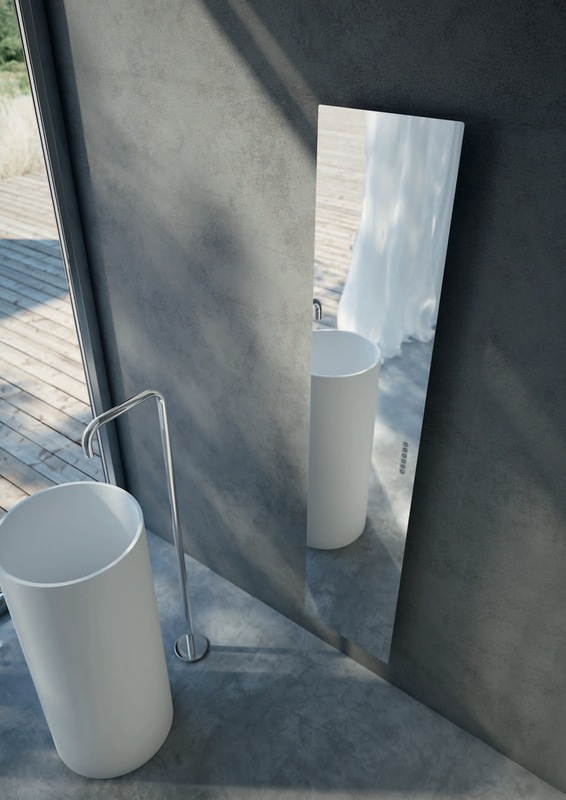 Tavola Total Mirror New by Antrax IT positioned behind the washstand. Tavola Mo, by Antrax IT, is concealed from view, enhancing spaces with original charm. 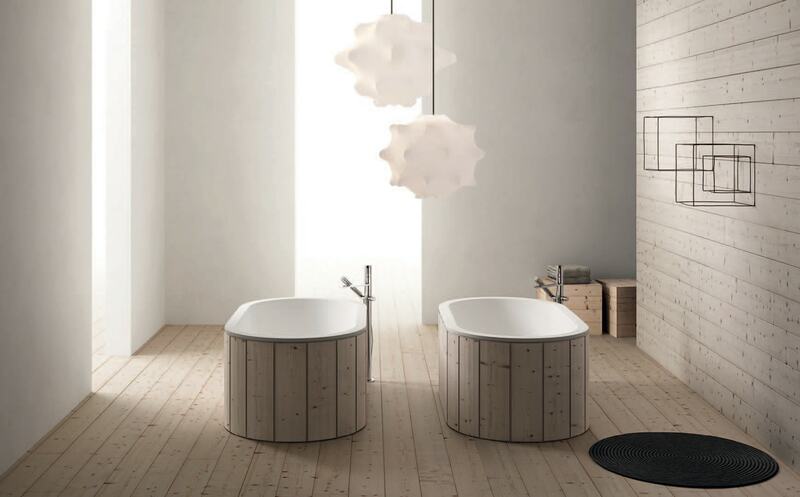 A bathtub is the protagonist of a setting by Porcelanosa where clean lines and decoration blend in an essential style with Nordic overtones. 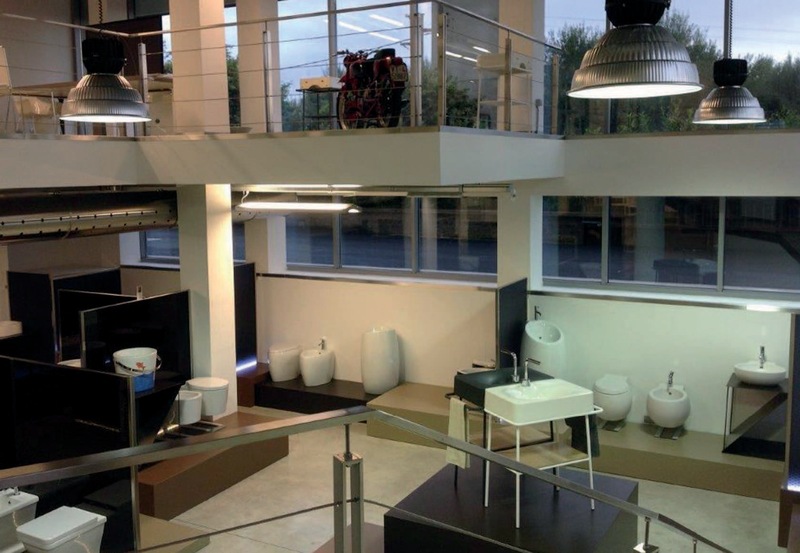 A panorama of a Scarabeo Ceramiche showroom illustrates the company’s particular focus on washstands and contemporary lines. 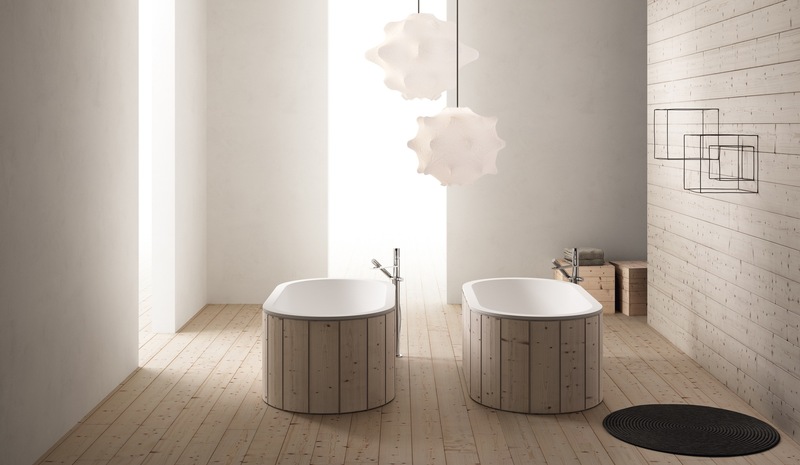 The Cibele tub from the Arcadia collection by Cielo in the version with slatted facing. 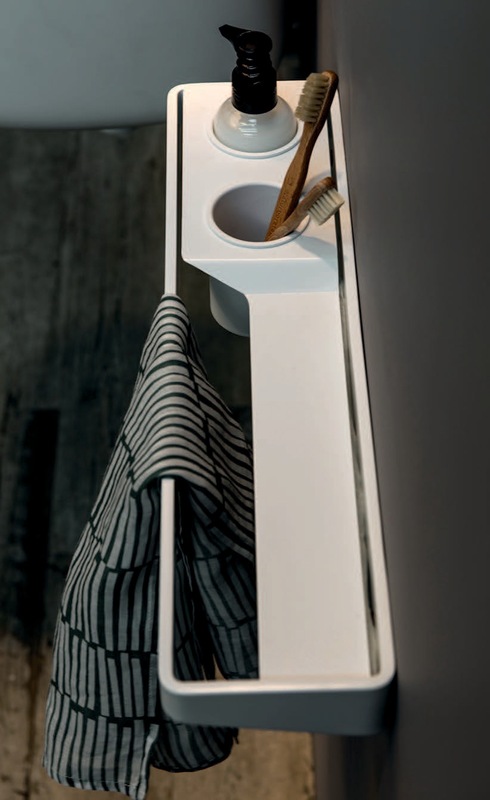 The washstands from the Roll line by Ceramica Flaminia evoke the image of a rolled sheet of paper (design by Nendo). Installations of the Prestige collection of modules by Inda, with soft touch paint finish and groove grip. 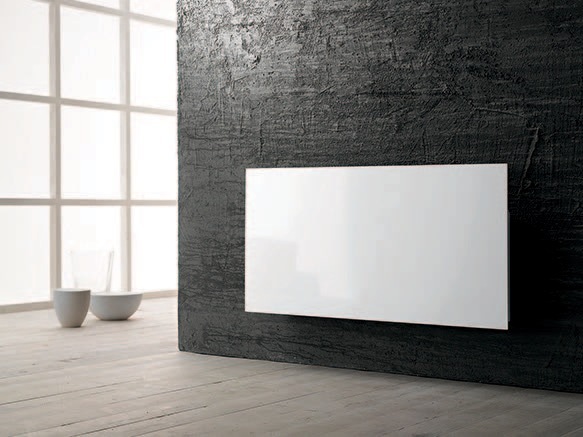 Serie 500 by Pozzi Ginori with the wall-mounted washstands in the foreground. The Brunt shelf from the Ever line by Thermomat, for a functional decor touch. 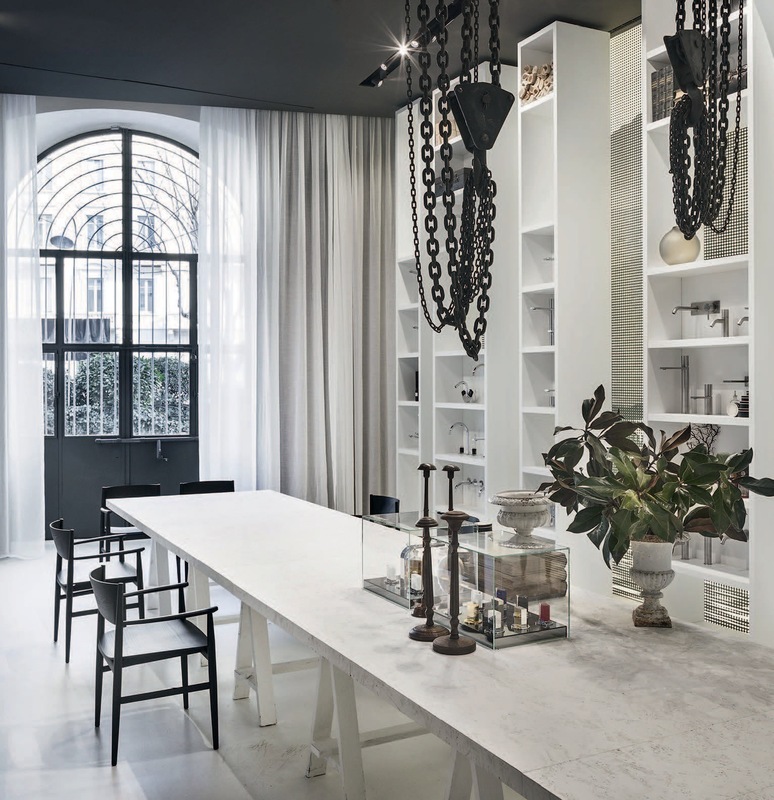 Designed by Lissoni Associati, the new Fantini Milano space is a meeting point to present home furnishings and display the product range in an intentionally “soft” atmosphere. 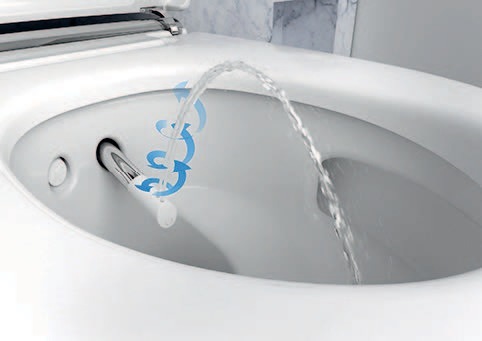 Two images of the latest creation of the Aqua Clean line by Geberit. 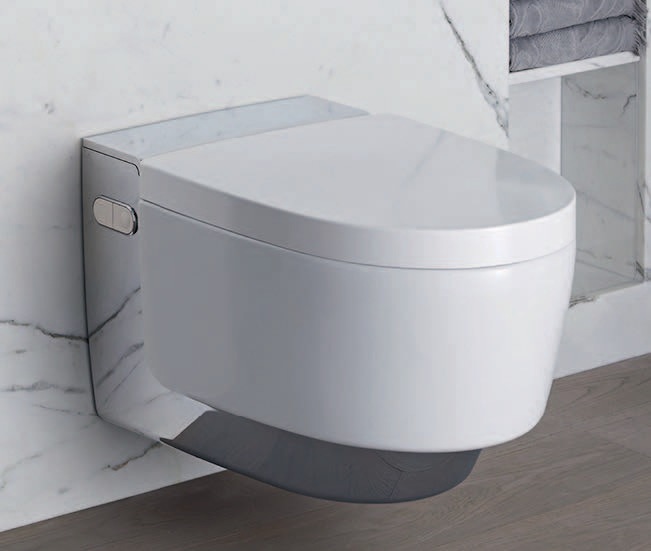 The Mera toilet-bidet combines design and hygiene thanks to Turboflush technology.